When I had that nasty three-week cold/flu/whatever-the-heck-bug-it-was earlier this year, I was frustrated with not being able to shake it off that I began looking for natural antiviral home remedies. I was lucky enough to find one that I not only enjoyed, but truly believed helped me get over whatever it was: olive leaf tea. When I happened upon this gem of a tea, I was amazed at the amount of history on the topic and the reported health benefits. Who knew when we’ve all heard about the actual olive and olive oil, but nothing ever about the leaves?! Seriously! I am surprised this very special leaf has not gone viral yet. But with a growing body of scientific studies backing it up, it may soon regain its recognition of the past. When I hear the word olive leaf, the image that always first comes to my mind is the Olympic crown and how it is an internationally recognized symbol of peace. But it’s the relatively unknown qualities of the olive leaf that gives it its very long history of disease prevention dating all the way back to ancient times. You could say it was a cure-all due to all of its known health benefits. Egyptians believed the olive leaf possessed magical powers and used it in their mummification process. It was even used to treat and cure malaria due to its anti-malarial agent, cinchonine. Think of it as the natural antibiotic before the creation of pharmaceutical drugs. 1. Anti-bacterial, anti-viral, and anti-fungal. Oleuropein is the active ingredient in olive leaves and the reason why the olive leaf helps fight off the bad bacteria and protect the body’s beneficial bacteria. Microbes that can cause the flu and other upper respiratory infections are destroyed by this chief compound. 2. Helps maintain a healthy heart. Olive leaf supports healthy heart functioning helping with everything from arrhythmia to lowering blood pressure by relaxing blood vessels and preventing the build-up of plaque on the arterial walls. 3. Non-caffeinated source of energy. I am a little caffeine sensitive from not drinking it for so long, so any coffee or even naturally caffeinated tea after 3:30pm, and I’m up all night. Olive leaf tea at 9pm = same effect on me. Not sure what it is, but from my own experience, this is not a nighttime tea but rather a 3 o’clock slump-killer or get-your-day-started-the-right-way tea. Although I haven’t been drinking it very long, some even report an increased feeling of well-being. 4. Anti-inflammatory. 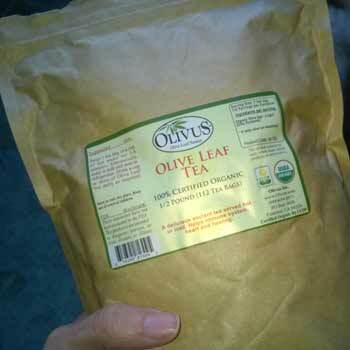 Olive leaf is antioxidant rich (even higher than green tea), fighting against free radicals that develop in the body. Plant antioxidants provide the body with unbelievable health benefits, including helping to reduce the risk of many degenerative and chronic illnesses. 5. Builds bone. Oleuropein is believed to also help the body increase the rate of osteoblasts, which are the cells responsible for bone growth. This helps us keep our bone mass as we age, which is especially important for women. 6. Fat burner. Oleuropein is also shown to increase the body’s level of thermogenin, a substance that allows our bodies to burn fat more easily. It also has shown to increase the thyroid hormone and adrenaline and helps improve digestion. 7. Cancer prevention. As you can see from the above, numerous health benefits relate to the protection of our cells. Oleuropein is also an especially good source of the anti-cancer compounds, apigenin and luteolin. It has actually been shown to have protective capabilities against breast cancer. 8. Regulates blood sugar. In laboratory testing, olive leaf has helped lower blood sugar levels with an ability to decrease insulin sensitivity and increase the production of insulin by the pancreas. 9. Maintain healthy cholesterol levels. Oleuropein has a beneficial affect on the lipoprotein levels in the body and helps prevent the oxidation of our bad LDL cholesterol, supporting healthy heart functioning. 10. Supports immune function. 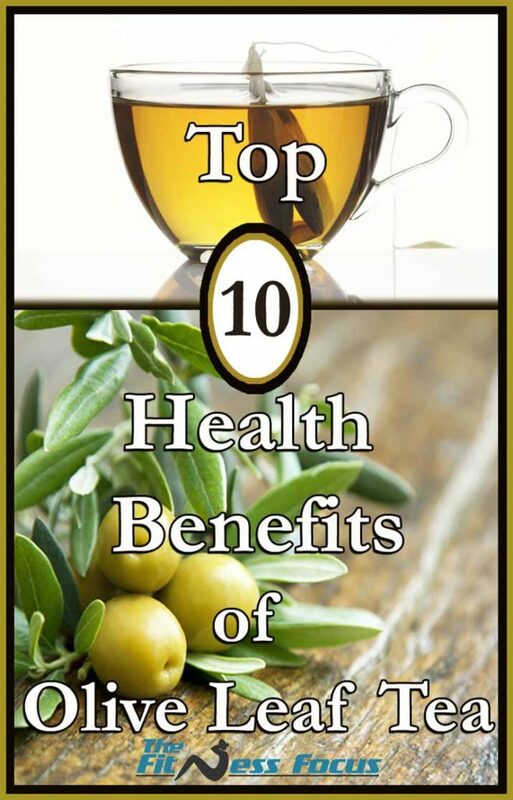 Olive leaf also has energy and immune system boosting qualities greatly increase the body’s natural ability to resist illness which prevents you from getting sick in the first place. Some claim once they started drinking it, they no longer experience seasonal allergy discomfort or suffered from any cold or flu. As you can see, it is mostly the oleuropein in the olive leaf that is thought to be so beneficial to us. ***If you are pregnant, taking medications to lower blood pressure or any other pharmaceutical drug, please be sure to consult with your doctor before adding olive leaf to your diet. As I have stated in previous blog posts, I just can’t handle lots of caffeine, including that in green tea. Olive leaf tea is 100% caffeine-free, but I and many other drinkers find that you get a good amount of energy from this tea. It is not the jittery kind either, it is more of a natural energy. Olive leaf tea also contains about four times the amount of Vitamin C than green tea and double the antioxidant content. Add 1/2T of raw honey. The sweetness counteracts the bitterness. Be sure your tea is not too hot when you add the raw honey in as excessive heat can cause it to pasteurize, which causes the raw honey to lose some of its nutritional value. It’s also surprisingly refreshing served chilled over ice, too. If your palette is not a friend of bitterness, you probably are not going to enjoy this tea. But, that does not mean you cannot still get the health benefits. You can still get the antioxidant and health benefits of the olive leaf with olive leaf extract in capsule or even in liquid form. Whether you choose the extract supplement or the olive leaf tea, it is recommended to choose an organic product from a trusted source. Amazon has hundreds of products with customer reviews for you to choose from. Me too! It is one of my favorites. Here are a links to a few studies and you can find many more on https://www.ncbi.nlm.nih.gov.